Ben Affleck Batman in Suicide Squad movie? Last week the movie scooper from Latino Review opened up about a report they got from their sources that actually seems to hint towards a **Ben Affleck Batman guest appearance **in the upcoming Suicide Squad movie from WB and DC Comics. Batman will be seen via security footage during the David Ayer helmed supervillain team-up movie, but that’s not all. Mark Hughes from Forbes has his own sources that told him that Affleck’s appearance in that film will be more than a simple security camera cameo, but that the Dark Knight will feature into one in-story scene with the Joker at the very end of Suicide Squad. Teasing a Batman/Joker confrontation for a solo Batman film in this movie makes absolute sense and it is great that we might see it so early. Bonus cherry on top: If this turns out to be true we get TWO (2!!!) 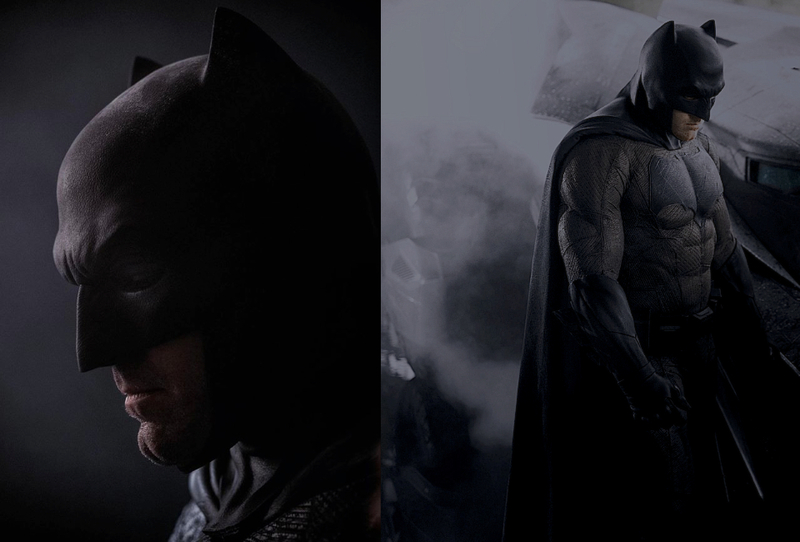 Batman live action appearances in one year. Suicide Squad is going before cameras this april, directed and written by David Ayer (End of Watch, Training Day, Fury) and features Will Smith as Deadshot, Margo Robbie as Harley Quinn and Jared Leto as The Joker. In Osaka it is now possible to throw yourself into the gaping maw of a life sized Titan! 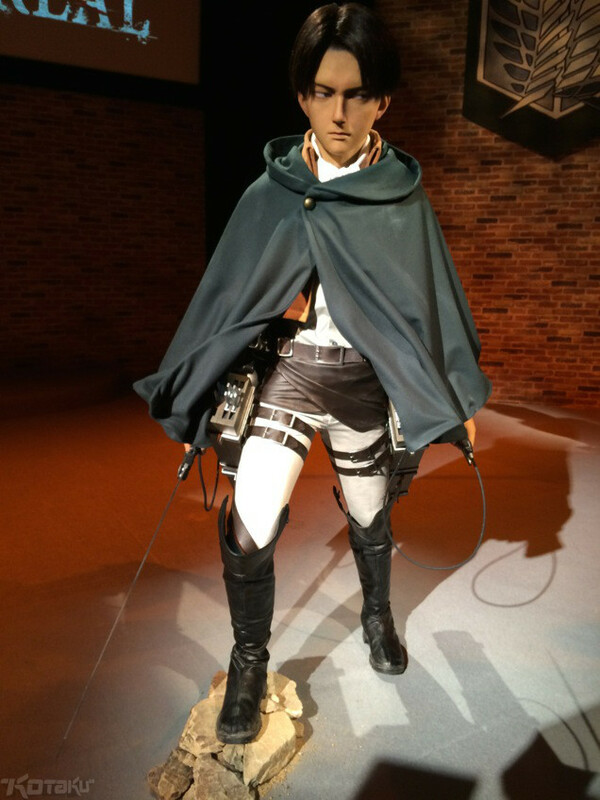 To celebrate the hugely popular anime Universal Studios Japan has dedicated a whole section of their theme park to Attack on Titan! Next to the Titan I mentioned you can see real life anime versions of the characters from the story (think Madame Tussauds, but in Anime) and two life size Titans fight it out in statue form. Also available are customized Attack On Titan foods and beverages and you can pick up some cool merchandise while you’re at it. 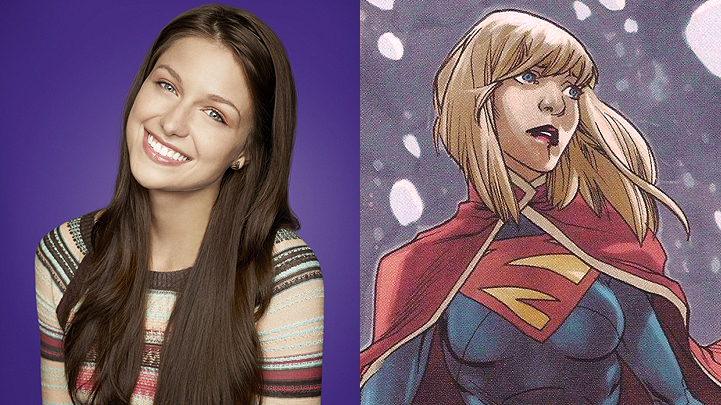 Upcoming CBS drama Supergirl has found its lead actress: GLEE’s Melissa Benoist! The show will deal with the life of 24 year old Supergirl Kara Zor-El, known as Kara Danvers to her foster family, as she embraces her Kryptonian origin and with that her superpowers. So far it is not know if her cousin Kal_El will feature into this show at all, or if this is maybe an alternate universe where she is the only Kryptonian on earth. Also CBS already said that crossovers with CW’s Arrow and Flash would be unlikely, since the network want to build up the character on her own. 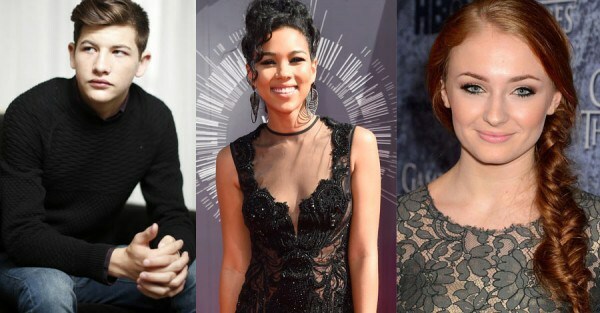 Bryan Singer tweeted out the casting for the young versions of popular X-Men Cyclops (Tye Sheridan), Storm (Alexandra Shipp) and Jean Grey (Sophie Turner), for the upcoming X-Men Apocalypse! Sophie Turner is known as Sansa Stark in Game of Thrones, Alexandra Shipp played in Ray Donovan and Tye Sheridan has turned in wonderful performances in Mud (next to Matthew McConaughey) and Joe. Looks like great casting, let’s hope Singer actually uses Cyclops as more than a walking punchline. After Tom Hardy dropped out of the role of Rick Flagg a few weeks ago WB went after Jake Gyllenhaal next, but he declined as well (which is no surprise since the actor hasn’t done a straight up blockbuster since his Prince of Persia debacle). 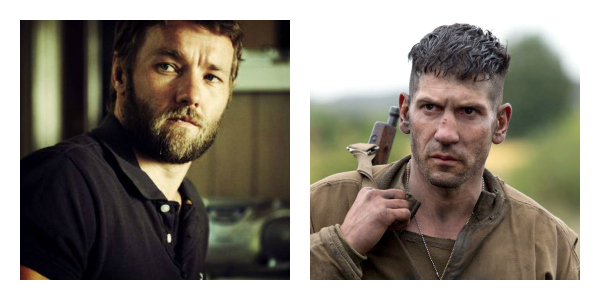 Now WB and DC are looking at Joel Edgerton (Warrior, Exodus) and Jon Bernthal (Walking Dead, Fury) for Rick Flagg. Both are good picks, but if the role really turns out to be such a bit part (which was rumored to be Hardy’s reason for leaving) why going after names like that at all? Next to that another Suicide Squad rumor: **Slade Deathstroke Wilson **might be in the movie and could be played by Joe Manganiello (True Blood, Sabotage). Um, awesome? 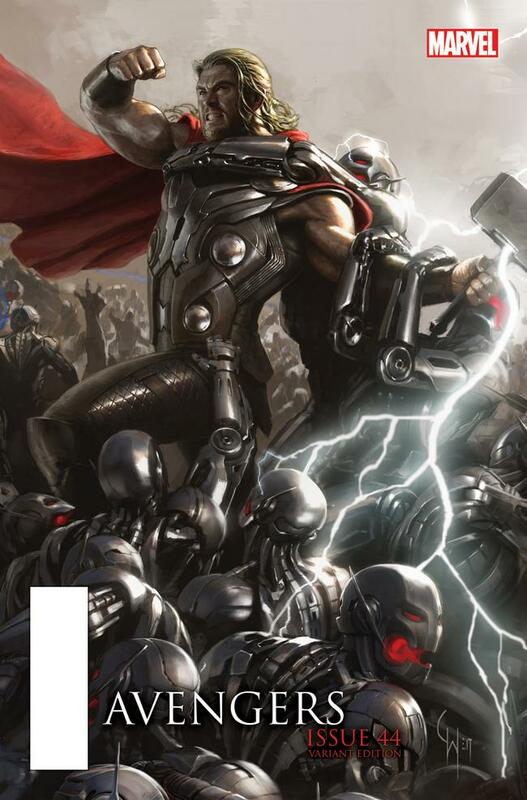 Tu celebrate the next Avengers movie Marvel Comics brings you Age of Ultron variant covers for the month of april, which are based upon the jaw dropping concept for the movie art by Ryan Meinerding, Charlie Wen & Andy Park that was first unveiled at Comic Con in 2014. Those are 8 interlocking covers that you have to assemble to get the full picture, showing Joss Whedon’s Avengers taking on waves upon waves of Ultron drones. Keep your eyes open as these are said to be 1:25 limited variants, and thus they’ll be short in demand!